UPVC, Composite, Aluminium, Wood, Sliding, Patio, Garage & Fire. UPVC – 70% of doors and windows in the UK are now uPVC, with a wide range of makes and locking functions. Manufacturers give these locks an expected ten year life. If the mechanism has broken and you are locked, it is important to contact someone with the specific knowledge required of the lock mechanisms to follow relevant procedures to successfully open the door without damage. Chambers Lockwork will get you back in and replace the lock. Are Your uPVC Doors And Windows Playing Up? 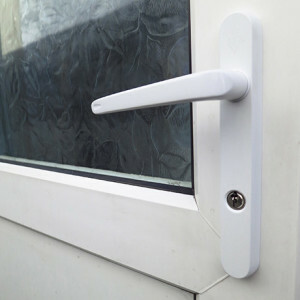 If you are having trouble locking your uPVC door or window, some adjustment now could save you lots of trouble and expense in the future. Chambers Lockwork can also show you the numerous choices and finishes available for all the ‘Door and window Furniture,’ such as letter boxes, door handles, spy holes, hinges, door chains, window locks and key safes. These can all be fitted as you require to suite your security needs and taste. All locks can be supplied, fitted and upgraded to meet current standard requirements. Insurance standard locks fitted meeting BS3621- 2007. Mortice deadlocks, sashlocks, night latches and cylinder. All the door furniture mentioned above can also be supplied and fitted to a wooden door. All locks can be supplied, fitted and upgraded to meet current standard requirements. Fire doors – Chambers Lockwork work to the required standards for installation of ‘Panic and Emergency Hardware’.